1:1 In the beginning there was Wisdom, and Wisdom was with God, and Wisdom was of God. 1:2 It was with God in the beginning. 1:3 All things were created through it; and nothing was created without it. 1:4 In it was life, and this life provided light for all persons. 1:5 This light shines in the darkness, yet the darkness cannot possess it. 1:6 There was a person sent from God whose name was John. 1:7 He appeared to witness and testify about this light, so that all might believe through him. 1:8 He was not the light itself; but he came to testify about the light. 1:9 The actual light that appears in the world enlightens every person. 1:10 It was in the physical universe, and though the physical universe was made from it, the physical universe did not know it. 1:11 It appeared on its own, but on its own it was not accepted. 1:13 children born not of the physical family, nor of the desires of the physical body, but born from the Creator. 1:14 Wisdom appeared within a physical body and dwelled among us. We saw its magnificence - the magnificence of the Confidential Representative sent by the Creator - full of loving mercy and truth. 1:15 John testified concerning him. He cried out, saying, "This is the one I spoke about when I said, 'A man with more authority comes after me because he has surpassed me.' "
1:16 From his fullness we have received, indeed mercy upon mercy. 1:17 For instruction came from Moses; loving mercy and truth arose from Jesus, Anointed by God [Messiah, Christ]. 1:18 God is not seen with the physical eyes, but He is revealed by the confidential lover of God who is in the heart of God. 1:19 This was the testimony of John when Jewish officials from Jerusalem sent priests and Levites to ask him who he was. 1:20 He did not fail to confess, but confessed freely, "I am not Anointed by God [Messiah, Christ]." 1:21 They asked him, "Who are you then? Are you Elijah?" He said, "I am not." "Are you the Prophet?" He answered, "No." 1:22 Finally they said, "Who are you? Give us an answer to take back to those who sent us. What do you say about yourself?" 1:23 John replied in the words of Isaiah the prophet, "I am the voice of one calling in the wilderness, 'Make straight the path for the LORD.' "
1:25 questioned him, "Why then do you baptize if you are not Anointed by God [Messiah, Christ], nor Elijah, nor the Prophet?" 1:26 "I baptize with water," John replied, "but among you stands one you do know not. 1:27 He is the one who comes after me, the binding of whose sandals I am not worthy to untie." 1:28 This took place in Bethany on the other side of the river Jordan, where John was baptizing. 1:29 The following day, he saw Jesus coming to him and said, "Look, the Lamb of God, who removes the darkness of the material world. 1:31 I did not recognize him, but he became known to Israel through my baptizing with water." 1:32 And John testified: "I saw the Spirit descend from heaven as a dove and remain on him. 1:34 I myself have seen and testified that this is the Representative of God." 1:36 and saw Jesus passing by, he said, "Behold, the Lamb of God!" 1:37 The two disciples heard him speak this and they followed Jesus. 1:38 And Jesus turned and saw them following and said to them, "What do you seek?" They said to him, "Rabbi, teacher, where do you stay?" 1:39 "Follow," he replied, "and you will find out." So they followed and came to know where he stayed, and stayed with him for the day, as it was about four in the afternoon. 1:40 Andrew, Simon Peter's brother, was one of the two who heard John and followed Jesus. 1:41 He initially found his brother Simon and told him, "We have found the one Anointed by God [Messiah, Christ]. 1:42 And he brought him to Jesus. Jesus saw him and said, "You are Simon, son of Jona [Hebrew - Dove]. You shall be called Cephas" - which means 'stone.' [Petros]. 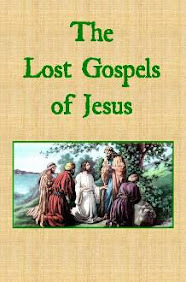 1:43 The following day Jesus decided to travel to Galilee, and found Philip, and said to him, "Follow me." 1:44 Philip was from Bethsaida, the town of Andrew and Peter. 1:45 Philip found Nathanael and told him, "We have found whom Moses wrote about in the commandments, and about whom the prophets also wrote — Jesus of Nazareth, the son of Joseph." 1:46 And Nathanael said, "What good comes from Nazareth?" Philip replied, "Come and see." 1:47 Jesus saw Nathanael coming towards him, and said of him, "Truly, an Israelite in whom there is no deceitfulness." 1:48 Nathanael asked him, "How do you know me?" Jesus replied, "Before Philip called you, when you were under the fig tree, I saw you." 1:49 Nathanael answered and said to him, "Rabbi, you are the Representative of God; you are the leader of Israel." 1:50 Jesus answered and said to him, "Because I saw you under the fig tree, you are believing? You will see greater things than this." 1:51 He then added, "Truly I say to you that you will see heaven open, and the angels of God ascending and descending upon the Servant of Humanity."